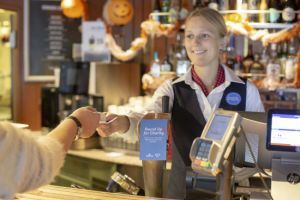 Stena Line is once again urging its customers to round-up their onboard purchases to the nearest whole pound to raise money for Mercy Ships. The charity sails its vessels around the world bringing free, life-saving medical care to where it’s needed the most. Stena Line has also launched their own volunteer program. So far two Stena Line employees have volunteered on board Mercy Ships’ hospital ship Africa Mercy in Guinea, where hundreds of people have received free, life-saving medical care since the vessel arrived in August.